« Homepage / Green & Organic Lifestyle / "Reduce Your CO2 Footprint"
What does reducing our carbon dioxide footprint have anything to do with being a hot mom? A lot, my hot mom friends. Becoming aware of global warming, how we are contributing to it, what we can do to stop global warming, and how we can help spread the word, has a lot to do with saving the very future of our kids, our grandkids, and our civilization. To ignore what we are doing to our planet, would be unethical and immoral where our children are concerned. Some scientists are now saying that we may have as little as 10 years before we cross a point of no return, beyond which it’s much more difficult to save the habitability of our planet in the future. Oh, we’ve been hearing about global warming, alright. But do we have an idea of what it really means and how it’s affecting the world we live in? Watch this to get a glimpse of what’s happening around the world. Temperature increases are taking place all over the world, including the oceans. When the oceans get warmer, storms get stronger — hurricanes, tornadoes, tsunamis, typhoons, flooding, even drought in other areas resulting in wildfires. Haven’t you heard about these catastrophes happening more and more all over the world recently? Whether we admit it or not, we, as individuals, do contribute to global warming, and if we continue to ignore it, don’t make a difference, and don’t change our ways, a lot of things will go terribly wrong. Where do we begin? A good place to start is by watching the movie “An Inconvenient Truth”. Buy or borrow from friends or from the library, it doesn’t matter. The point is to help us understand global warming better, and what we can do to stop it. Remember, my hot mom friends, our responsibility as moms doesn’t stop with just taking care of the family but by doing our part, to help ensure, that our kids, and kids of the next generations, will still have a place to live in. I urge you, my hot mom family, to help spread the word, by sharing and forwarding this blog post to your friends, families, and everyone you know. Next – 10 things you can do to reduce your CO2 footprint. 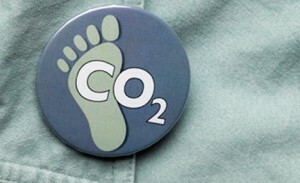 Here you can write a comment to the post "Reduce Your CO2 Footprint"